After two days of intense workshop on Art.CHI at CHI 2015 in Seoul last April, some of the art projects from this book were displayed as a part of Interactivity Exhibition at CHI. Younghui has participated as one of the organizers of the Art.CHI workshop as well as coordinating the Interactive Art Exhibition. For this full color hardcopy of this book, it is being sold at blurb.com. 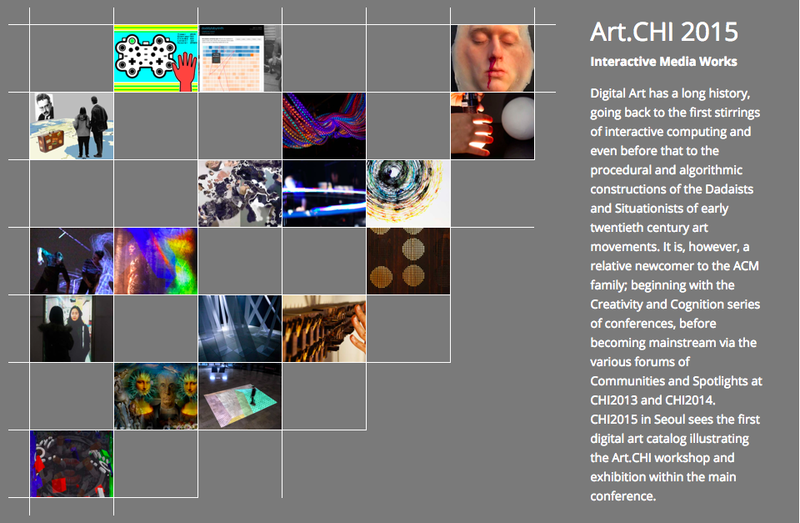 Younghui has also submitted her recent data art project, mood.cloud to the Art.CHI. Below is an excerpt from the book. The project, “mood.cloud” is an exploratory artistic display of data as art. Emotional status is something that forms and passes like a cloud in the air. What if an installation can hold and collect individual emotional statuses and displays how we all feel together in the same space? Will collective emotional awareness influence individual moods and vice versa? For creating a certain mood, people often use lighting effects and colorful lights. When used on a large scale like with “mood.cloud,” lights are somewhat emotionally overwhelming and powerfully expressive. 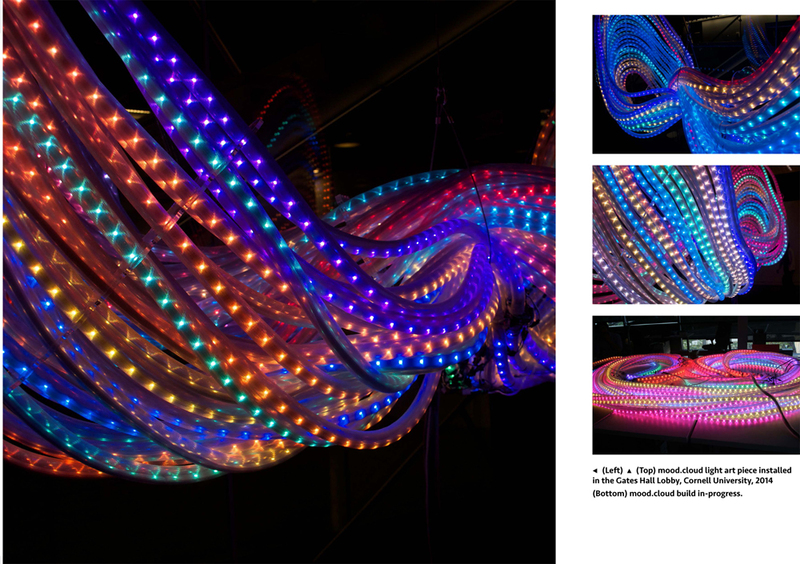 This project visualizes emotional status of people in twenty-four strings of LED lights: the bottom LED string refreshes to the color corresponding to the most recent input and it moves up as more updates occur afterward. Through this representation, one can reflect on the collective emotional status of the people in that space in a timely manner.